Unlike Hilton’s flagship brand (Hilton Hotels & Resorts, which has over 550 properties in 85 countries), the Conrad Hotels & Resorts brand just has 29 properties in 22 countries. While harder to find, Conrad Hotels & Resorts is a fantastic Hilton brand that provides a modern spin on luxury. If you are looking for a more traditional luxury stay, check out Hilton’s other luxury brand, Waldorf Astoria Hotels & Resorts. Let’s dive into the Conrad brand and explore what you can expect during your next stay. Hilton describes the luxury style of Conrad Hotels & Resorts as “sophisticated, global and thoughtful. Service so smart, it helps you be an even better you.” That’s quite the pitch! While brands such as DoubleTree by Hilton pride themselves on fitting the needs of both business and leisure travelers, the Conrad brand is built around the leisure traveler. Guests are invited to customize their stays even before arriving on the property. To make your stay even more enjoyable, you can use the Conrad Concierge service to help you create the experience you want. For those who enjoy staying fit on the road or receiving a restorative massage, each Conrad location provides a fitness center and spa. Fitness centers include strength training equipment, cardio machines, and even spaces for yoga, Pilates, and meditation. Some properties even have tennis courts if you enjoy a little sport. From big cities to remote islands, Conrad Hotels & Resorts provide a fun and relaxing experience for their guests. Below, you’ll find a few ways that the Conrad brand seeks to set itself apart from other hotels. Conrad Hotels & Resorts really go above and beyond to ensure your in-room experience is just how you’d like it. They provide 4 different bathroom amenity options as well as a pillow menu. For your bathroom amenities, you can choose from products provided by Aromatherapy Associates, Shanghai Tang, Tara Smith Vegan Hair Care, and Refinery. Each product line is designed to fit whatever your preferences might be, from those who prefer vegan products to men who prefer Refinery’s male grooming products. If that’s not enough, Conrad properties has a pillow menu with 15 different options, so you can pick the perfect pillow to help you get a good night’s rest. You can choose from feather pillows, hypoallergenic pillows, and more. Conrad takes things a step further to make your on-property experience great with their 1/3/5 Experiences. Conrad has curated these experiences to provide you with options if you have 1, 3, or 5 hours to explore your surroundings. This is a tremendously useful service, and Conrad invites you to “Stay Inspired” by trying one of these experiences. Rather than thinking about every aspect of your adventure through a city such as Hong Kong, you can check out what Conrad suggests. You can incorporate as much or as little as you want, but you’ll know the recommendations are good ones. Within the Hilton Honors App, you can find the Conrad Concierge service, and you should definitely take advantage of it. From room service and amenity requests to 1/3/5 Experiences, Conrad Concierge can make your stay even better. You can order room service, check out the on-site dining options, and make reservations. Even before you arrive, you can use Conrad Concierge to request an early check-in time, some extra towels, more bedding, or your favorite type of pillow. If you know you will be sleeping in, you can use the app to request a convenient time for housekeeping. Before you return from a day of fun, you can also request turndown service to get ready for bed. For those looking for fun things to do near the hotel, the Conrad Concierge app allows you to quickly browse the 1/3/5 Experiences while deciding where to go or what to do next. Finally, you can use the app to request a car service, which makes getting to and from the airport much easier. The app also provides access to airline information to help you keep track of your flight. The co-branded Hilton credit cards provided by American Express are an easy way to make your next stay at a Conrad property even more luxurious. You automatically receive Gold status when you have the Hilton Honors American Express Ascend Card . One of the best parts about Gold status is that you’ll get free breakfast every morning during your stay and space-available upgrades to nicer rooms. You also get your 5th night free on award stays of 5 nights or more. The Platinum Card® from American Express also gives cardholders Gold status at Hilton (and Marriott Bonvoy), which comes with all of the usual status perks. Redeeming Hilton Honors points for award stays at Conrad Hotels & Resorts includes some of the best ways to use your points. When you stay at a Conrad property, you can feel confident that you will have a relaxing, luxury experience. With Gold or Diamond elite status, you and a companion staying in your room will both enjoy complimentary breakfast whenever you stay at a Conrad property. Something to keep in mind is that Hilton no longer has an award chart that divides hotels into categories, so you won’t easily be able to predict how many points an award stay will cost. Instead, use Hilton’s online tool to see the maximum points cost of an award stay. Unfortunately, it won’t show you the minimum amount required — which is the award price you want. To make your points go further, try not to book award stays during busy times at a given hotel property. Let’s take a look at 5 amazing award stay ideas at Conrad Hotels & Resorts. The Conrad Maldives is an amazing Hilton property for reward stays. Image courtesy of Hilton. 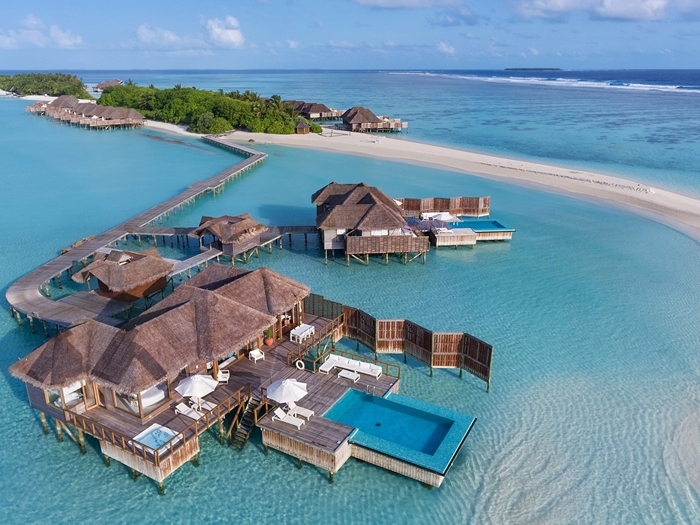 If (like many people) you dream of a flying off to a remote island location where you can relax on the beach, the Maldives might be high on your bucket list. Unfortunately, its remote location means this island can be tough to reach, and the luxurious hotel properties can be quite expensive. Booking a stay at the Conrad Maldives with Hilton points ensures that you will have an amazing experience without breaking the bank. Rather than paying $1,000 per night out of pocket, you can use 95,000 Hilton points per night to book your stay. The points cost is unlikely to be lower as this is such a popular property year-round. Bottom Line: Hilton Gold or Diamond status can make amazing Conrad redemptions even better thanks to complimentary breakfast, room upgrades, and the 5th-night free perk. 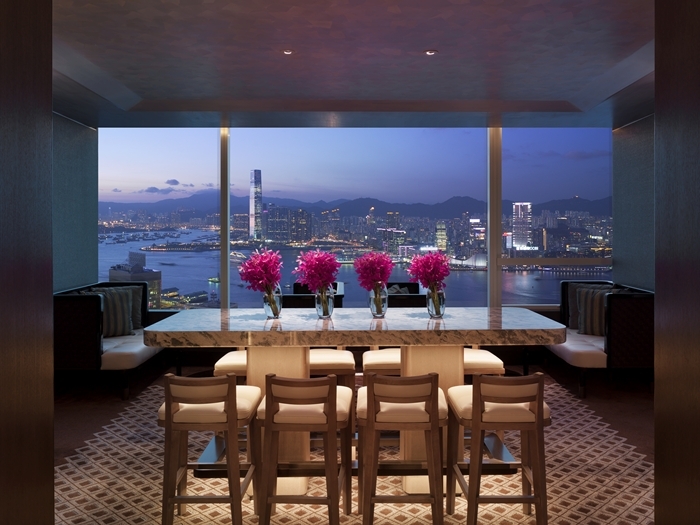 Enjoy great views of the harbor while staying at the Conrad Hong Kong. Image courtesy of Hilton. Hong Kong has an amazing harbor, and the Conrad Hong Kong is the perfect hotel if you’d like a great view. You can enjoy a great breakfast and a wonderful room for a maximum of 80,000 Hilton Honors points per night. When you consider the fact that rooms at the Conrad Hong Kong often retail for $400 per night, this is an awesome way to use your Hilton points. Hong Kong might be an expensive place to stay, but thanks to points you can have fun without spending all your cash! 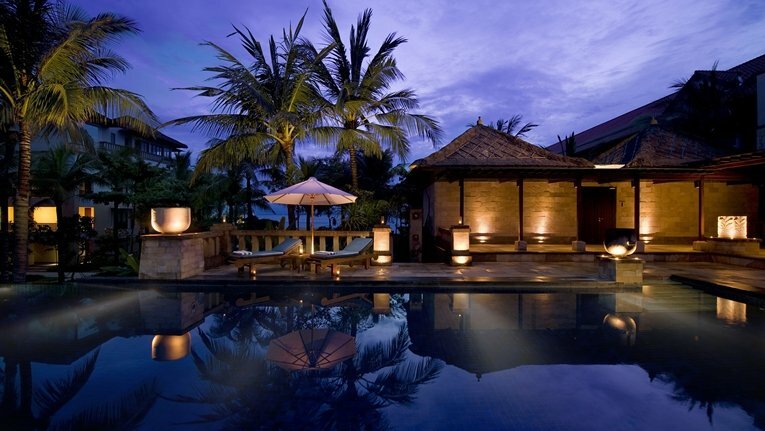 Bali continues to grow in popularity as a luxury getaway destination. If you want to be surrounded by amazing natural beauty, then Bali might be just the place for you…and the Conrad Bali should be high on your list of hotels to try. The staff receives phenomenal reviews, and the rooms are gorgeous. Relax by the pool or explore the on-property gardens for a maximum of 60,000 Hilton points per night. The Conrad London St. James is an amazing hotel in the perfect location for your trip to London. Image courtesy of Hilton. Speaking of expensive cities, London is one of the most expensive cities in the world to book a hotel room. 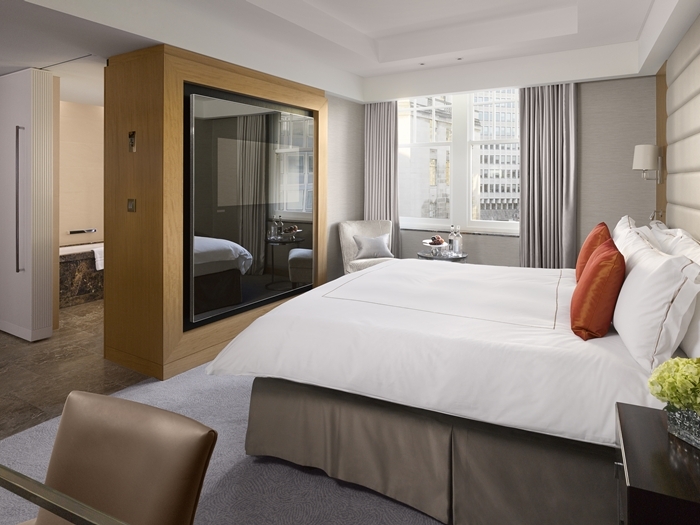 The Conrad London St. James is no exception, with rates often exceeding $350 per night. Located by Buckingham Palace and the British Parliament, you can easily visit some of London’s historic sites. You can book an award stay at the Conrad London St. James for a maximum of 80,000 Hilton points. Enjoy a relaxing vacation at the remote Conrad Koh Samui in Thailand. Image courtesy of Hilton. 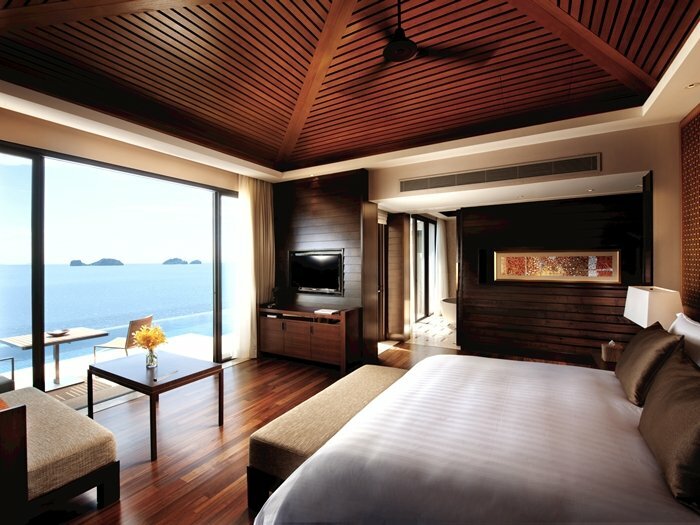 If you really want to get away from the everyday hustle and distractions, check out the Conrad Koh Samui in Thailand. Unsurprisingly, you will have some fantastic views of nature to help you take your mind off of everything. If the views aren’t enough, you’ll love having your own villa. You can book an award stay at this amazing property for a maximum of 95,000 Hilton points. It should be clear by now that Conrad Hotels & Resorts is one of Hilton’s 2 major luxury brands. While there aren’t many locations, each property is designed to provide an out of this world experience for guests. While we covered 5 of the amazing Conrad properties where you can redeem your Hilton Honors points, there are plenty of other options that you should definitely consider. To top it all off, make sure you have Hilton Gold elite status so you can enjoy a few more perks! Where are Conrad Hotels & Resorts properties located? There are 29 Conrad hotel properties spread across 22 countries from South Africa to China to the United States and more. What are Conrad Hotels & Resorts like? Conrad properties are Hilton’s take on modern luxury while Waldorf Astoria properties are their take on more traditional luxury. At a Conrad, you can expect great amenities such as a spa and fitness center as well as great service from staff.